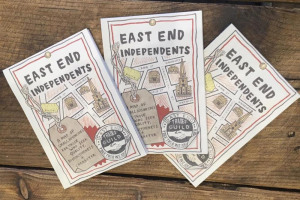 Get on the East End Independents Map! Small local businesses don't have the budget for the big billboards of the large global brands on Oxford Street. 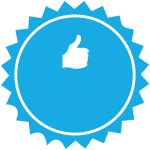 But by supporting each other through sharing our map, members can be made more visible! This project was funded on 22 Oct 2018! 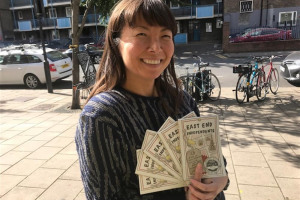 The East End Trades Guild is an alliance of 250 small independent businesses. 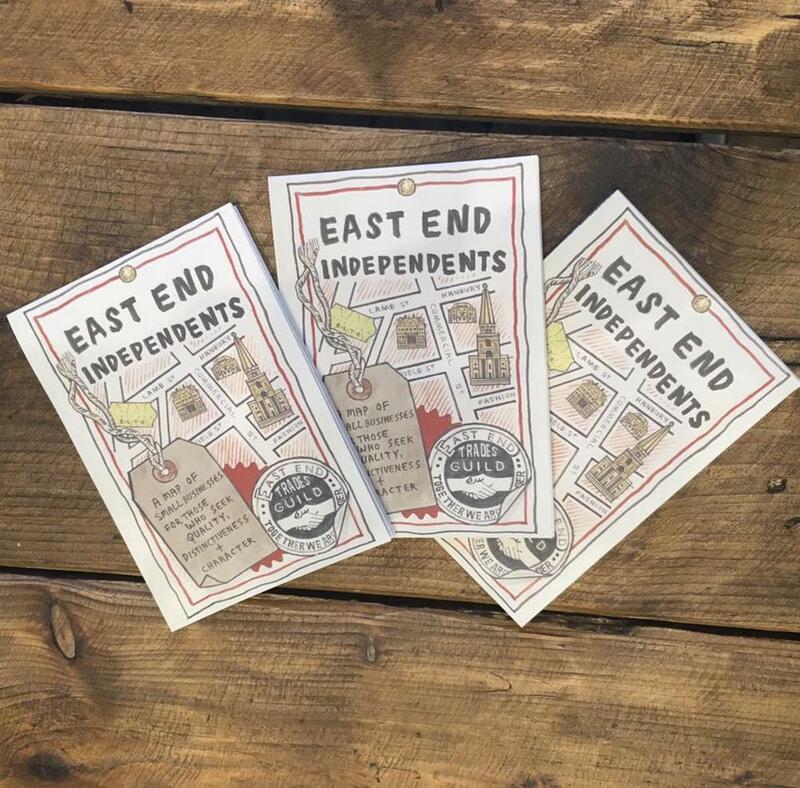 We're aiming to raise £22,332 to produce the map of East End of Independents (for the third year running!) which will include all our members, new and old, and be an exciting resource for anyone looking to shop, eat and live 'independent'. The map will be distributed through our members as well as the ACE Hotel and L’oscar London. We're aiming to produce 30,000 maps, will you help us? We’re looking for small businesses from across Tower Hamlets, Hackney, Waltham Forest and Newham to pledge £100 membership to the East End Trades Guild. Joining will help cover the cost of the 2018 map and spread the word that small is beautiful! 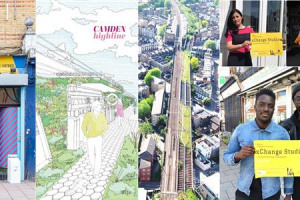 Local artist Adam Dant will hand draw the map and The Gentle Author of Spitalfields Life will highlight the most historic and culturally significant of these. 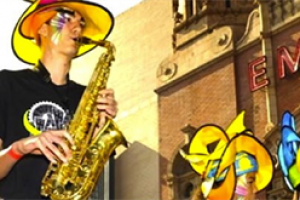 This piece of art will be produced by Guild members Herb Lester, who're famous for their fun and distinctive travel guides. Small businesses need to stick together! In East London they face exorbitant rent increases and are often isolated when trying to navigate their way through landlord’s demands. We have discovered that when small businesses talk to each other at street level about their rent issues, shared knowledge enables them to negotiate rents lower than they would otherwise. 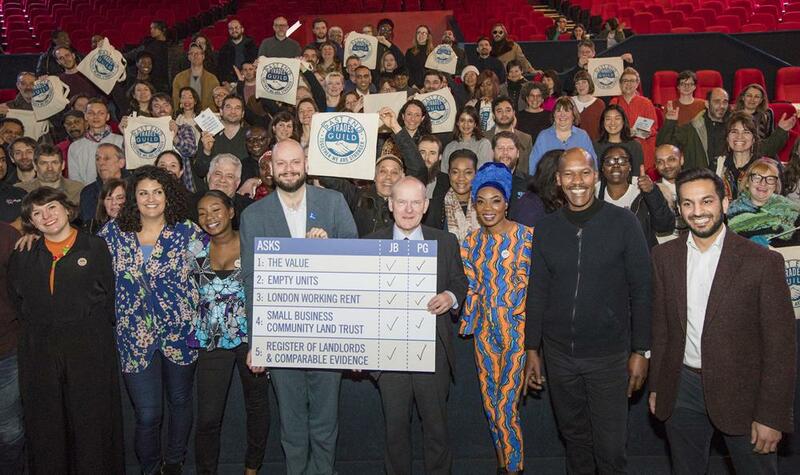 Therefore, together with Queen Mary University, Outlandish and Founders & Coders, we are developing a commercial rental and landlord database and tool for our members as part of our Affordable Workspace Manifesto. This database will hold information on a small business, where it's located and what rent is paid. This will be used by our members during their rent reviews giving them the knowledge they need about rental evidence at the lower end of the market. 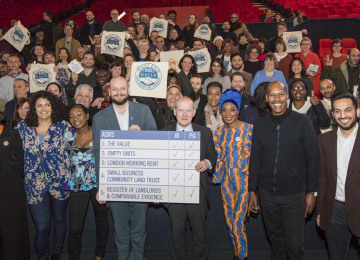 All small businesses to join through this campaign will have access to this tool and all other elements of our Affordable Workspace Manifesto. 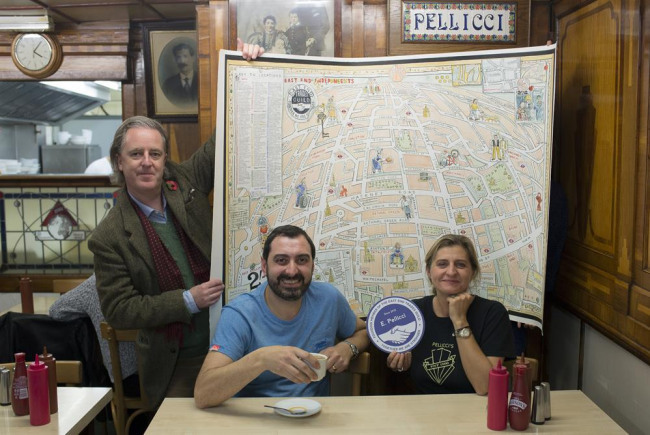 What businesses say: “The map has been a great way to promote Columbia Road but also East London. The geography of East London is not always easy to navigate. 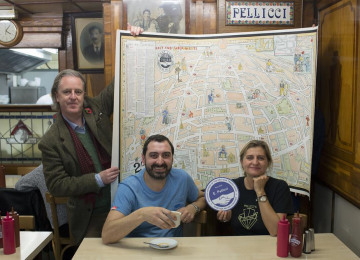 The map opens up East London to the uninitiated visitor allowing them to discover places that were otherwise off the beaten track" Juliette Tuke, Milagros. “Joining the EETG gave me the confidence to take on Network Rail and fight successfully against their outrageous rent rises. It's also given me so much more than this. 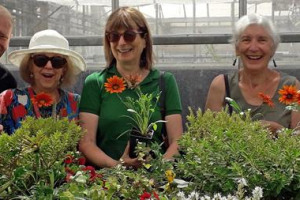 It’s given me a community and opened up a whole new world of collective power, where real people are taking back control of their circumstances" Leni Jones, Rosso Corse and Guardians of the Arches. If you're not a small business you can still back us, a £10 pledge will get you a Gardners' tote bag with our handsome logo on it. CONGRATULATIONS! We have surpassed our target! Without everyone working together we simply couldn’t make our map. This is a wonderful example of how much we can achieve when we all work together for a common goal. 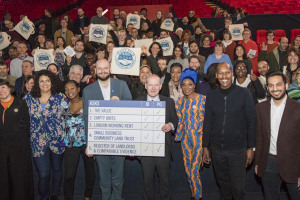 We’re now overfunding to drive forward our ambitious Affordable Workspace Manifesto which we can also bring to reality through collective action. There’s still time to join for a spot on the map! 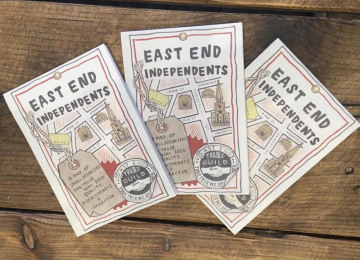 Small businesses and self-employed people have until midnight tonight to pledge membership and be listed on the new edition of East End Independents. In the next few hours, we’ll be working with Herb Lester to pull together all the addresses so Adam Dant can start work tomorrow. Herb Lester will be in touch soon to make sure your listings information are correct, so keep an eye out for your emails. Each member will receive a box of 100 maps to distribute on 1st December so we can all intensify our visibility on Small Business Saturday, encouraging locals and visitors to spend their money easterly for quality, distinctiveness and character! This project is enabled for overfunding. 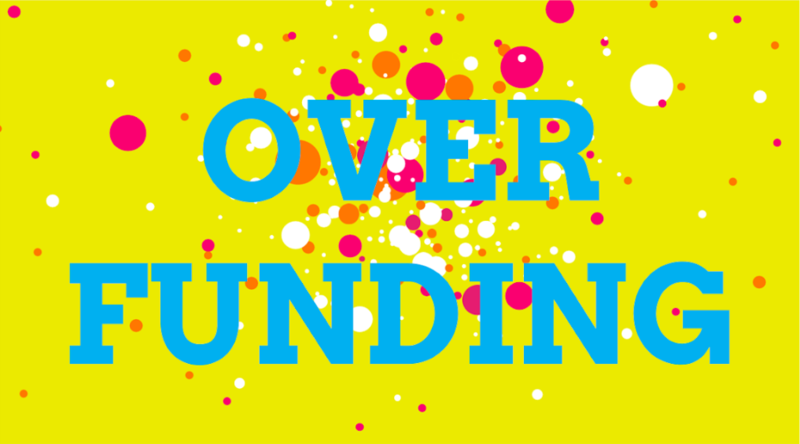 If the project hits its funding goal before the end of the campaign period, any extra funds raised will be spent (in order of priority) on: We will use the extra funding to deliver the work involved in our Affordable Workspace Manifesto. 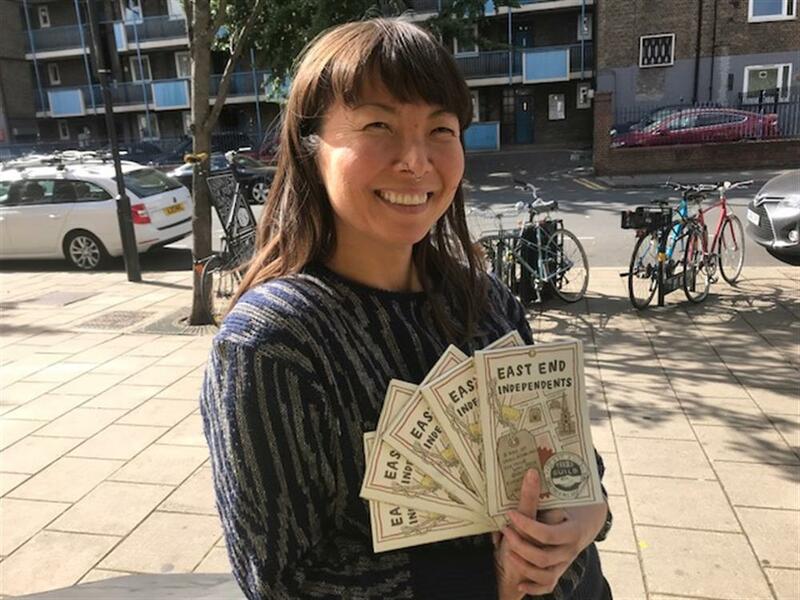 Project Delivery Manager: East End Trades Guild The Project Delivery Manager takes legal responsibility for receiving and spending the funds raised and ensuring the project is delivered.